While developing a customized financial program, we will walk you through a step-by-step process that will help make you feel confident in your decisions. Anything you disclose to us will be completely confidential, this includes personal financial and medical information. If any information is required to share with carriers, we will of course ask permission. 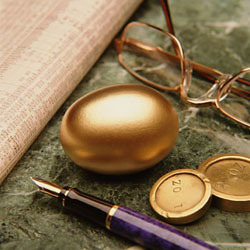 Our goal is to make you feel comfortable and confident with your financial plan for your next egg.